Kemba Thomas | Staff | NSSPlus, Inc.
Kemba Thomas brings over 18 years of progressive and professional experience in IT, Human Resources, Facilities Management, Personnel Security, and Continuous Improvement. Under her guidance, NSSPlus successfully obtained ISO 9001:2008 certification and ISO 27001:2013 certification in 2015. Her experience covers both the Federal and DoD clearance programs. As Director of Operations, she maintains responsibility for daily operations of the company to include Human Resources, Payroll, Cash Management, corporate benefits, and new employee hire. Ms. Thomas has served as Operations Manager, Cybersecurity Lab Manager, Systems Manager, and consultant. 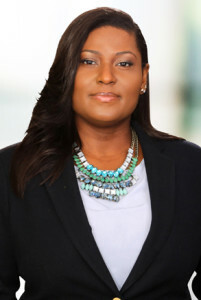 Ms. Thomas was awarded her CISSP in 2008 and her Security+ in 2007.